If this was compatible with BlackMagic Design's DaVinci Resolve, I would be right on to this product. But with adding only Adobe and Apple support, I will not embrace Adobe's forever recurring, monthly charge software rental system. Nor will I return to Apple and their over-priced products just to enable usage of MacOS. BlackMagic recently announced their own post production editing keyboard for Davinci Resolve, but for a whopping $1,000 USD. Ouch! does it work on linux? Are the pencils included in the price? IMHO the fact that the Loupdeck is not only poorly built but is geared to force users to upgrade their software which these days is more problematic than functional is reason enough to stay away from this cheap plastic like the plague. You'd be better off getting a Wacom Tablet. Not sure what your gripe is, but Loupedeck is solidly built, and upgrades add new features that are suggested by users. It’s constantly adding support for a variety of software. It’s a terrific device. I use only with LR, and it’s a revelation compared to mouse and sliders. I first saw this Loupdeck on one of Kai's video's... (Yeah, I know, but he makes me laugh) and I thought wow, I want one if it supports ACR! Then I started reading reviews, and I was surprised how many people dinged this thing for being flimsy and not well made. One guy said it wouldn't even sit flat on the desk it was so bent... so, I've held off buying one still. I'd be curious to know if those reviews were on target, or just internet commando's being cranks. I also had the uneven problem with mine, but it wasn't that the plastic was bent, it was because they placed a rubber foot in the center of the keyboard and it seems that for some reason that one protrudes more than the four in the corners. I removed the center rubber foot and it sits flush now. That said, I do agree that it feels a bit cheap. Ready to buy this the moment they add support for Lightroom CC. Bonus points if they can ever get it working with the iPad Pro's USB C port though I won't hold my breath for that one. Yea, I'm surprised they haven't tackled Lightroom CC yet. As you mentioned, Lightroom CC support plus support for the iPad would make for a killer mobile editing setup. I'm guessing iOS is the limiting factor there, because even on a Mac or PC you need a proprietary software for the computer to recognize the device and there's no easy way to do that on iOS due to the sandboxing. That said, I would like to see Loupedeck skip USB-C altogether and just go Bluetooth. My Loupedeck+ is about the only thing I carry with me to events I shoot that has a cable, aside from my card reader and external HDDs — and it's not a short cable. Mostly agree, though wired input support is still handy for people who don't care about wireless and just want it planted next to their keyboards. 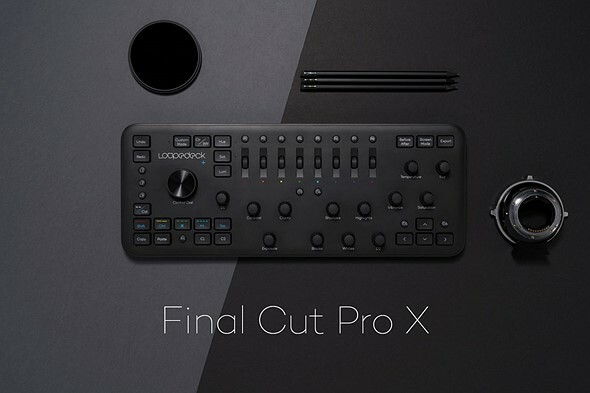 If they released an upgraded version with better knobs and decent BT, I think they could charge $300+ for it and pros/fancy amateurs would still buy. @Blawlog: True. Maybe do a standard and pro version next time. I'd easily pay $300+ for a wireless unit with a metal frame, mechanical keys and improved dials/knobs. At the moment Lightroom CC does not offer any kind of way to control the software instead of the graphical ui + mouse. @Karo - I've heard that mentioned before and it always confused me, as CC does have keyboard shortcuts. Here's a handy list compiled by Lightroom Queen (https://www.lightroomqueen.com/keyboard-shortcuts/). Or is there some more elaborate set of shortcuts that CC doesn't support? ... and is quite rudimentary.